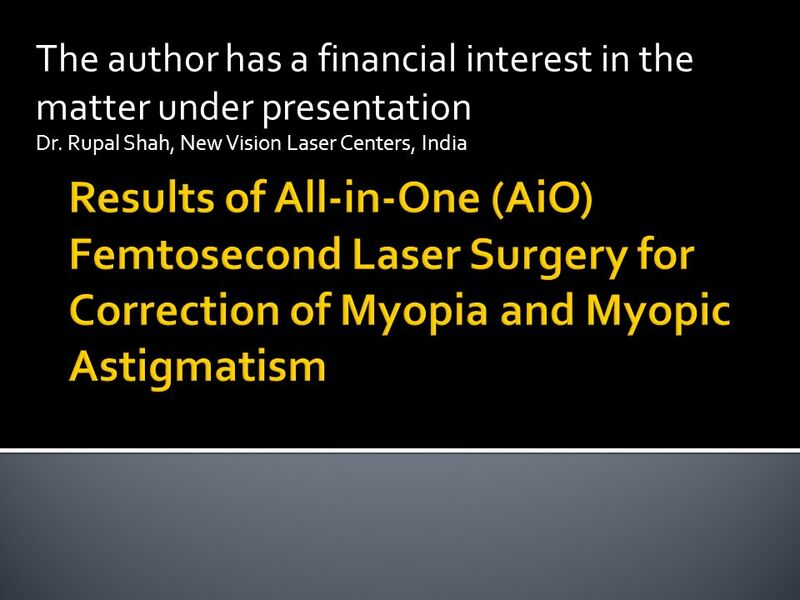 The author has a financial interest in the matter under presentation Dr. Rupal Shah, New Vision Laser Centers, India. 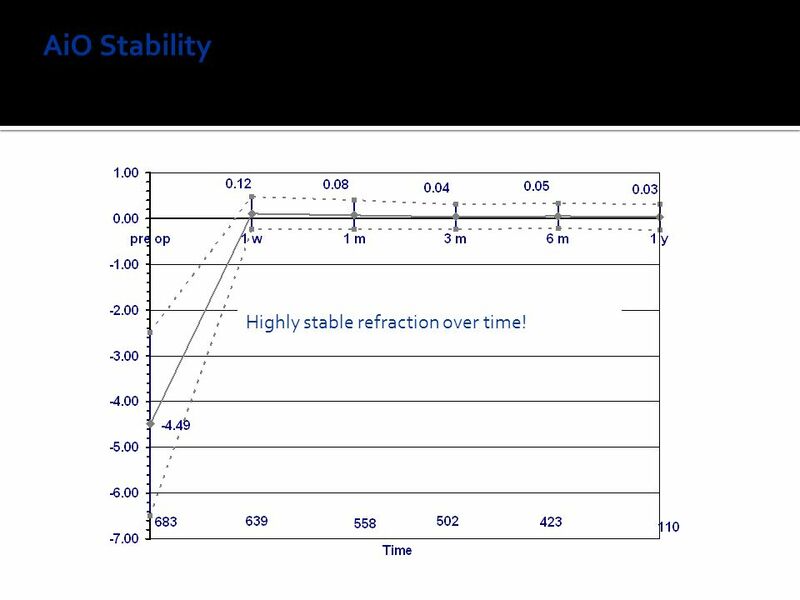 8 AiO Stability Achieved correction (MR SEQ) over time Highly stable refraction over time! 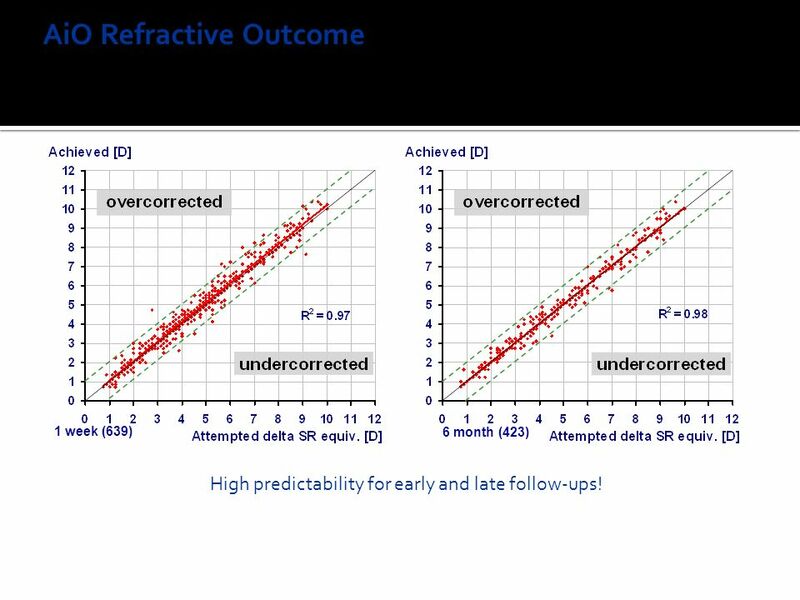 9 AiO Refractive Outcome MR SEQ Percent within Attempted @1w and @6m 1 week (639) 6 month (423) High predictability for early and late follow-ups! 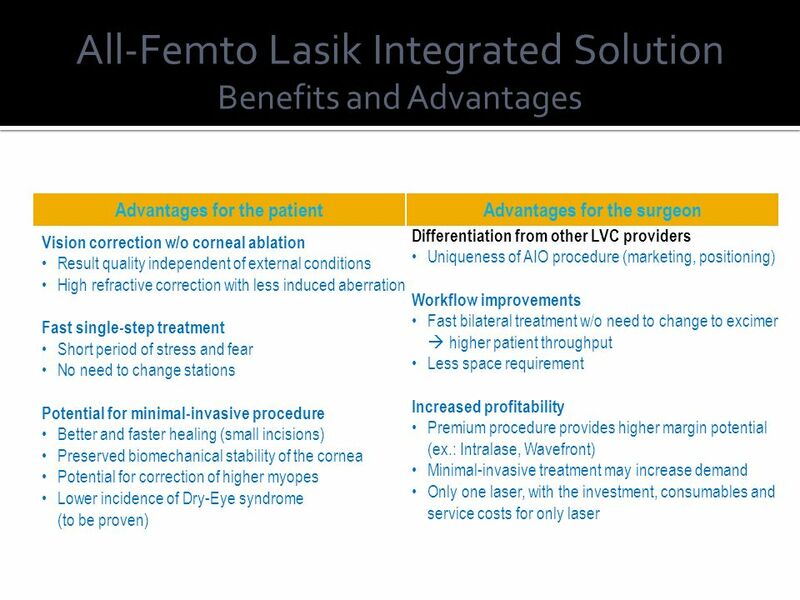 Download ppt "The author has a financial interest in the matter under presentation Dr. Rupal Shah, New Vision Laser Centers, India." 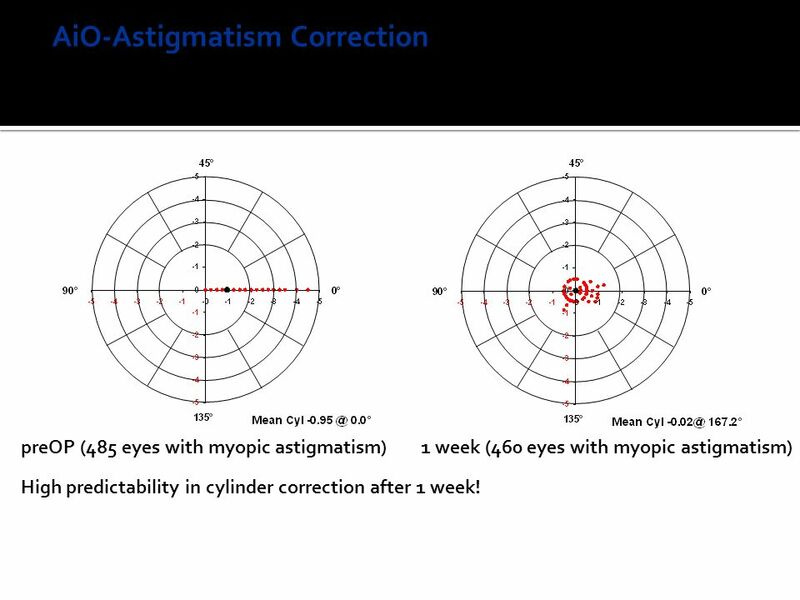 21/09/04www.drmathys.be ESCRS 2004 PARIS Wavefront- and Topography- guided PRK for Myopic Eyes Bernard Mathys, MD Brussels Vision Clinic. Freedom to See Freedom to Be Freedom to Do… Anything You Want. 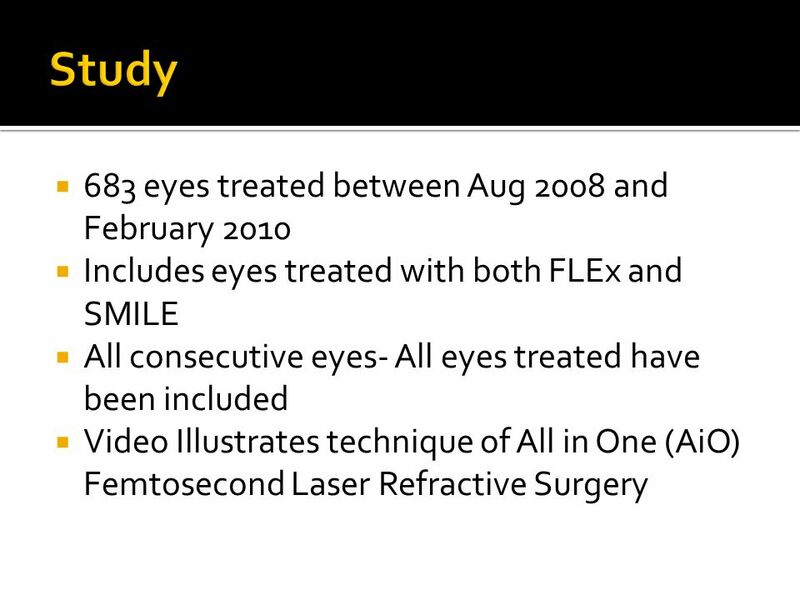 1 Comparison of bitoric with monotoric laser in situ keratomileusis for the correction of myopic astigmatism with the Nidek EC-5000 Laser. By Mohamed Abdul-Rahman. 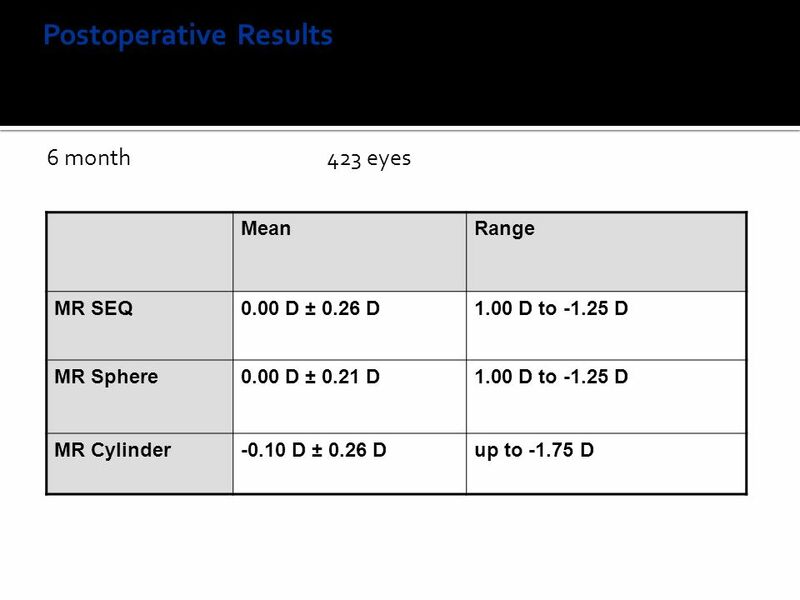 Comparison of Visual Outcomes With Toric IOL and With Limbal Relaxing Incisions in Cataract Surgery Eriko Fukuyama, MD Fukuyama Eye Clinic Fukuoka, Japan. ME5888. Night Carrier Operations Spectacles ME5888. 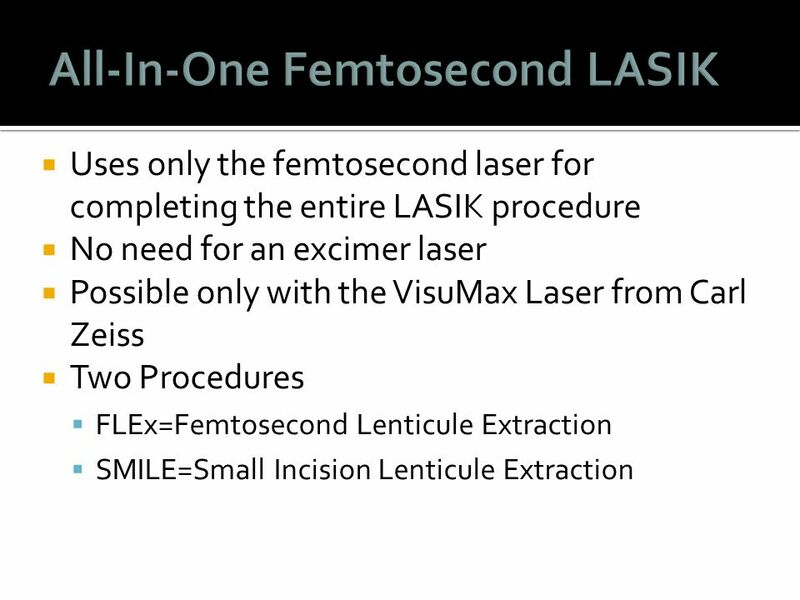 LaserVision Refractive Audit Mr John Fenton FRCSI. 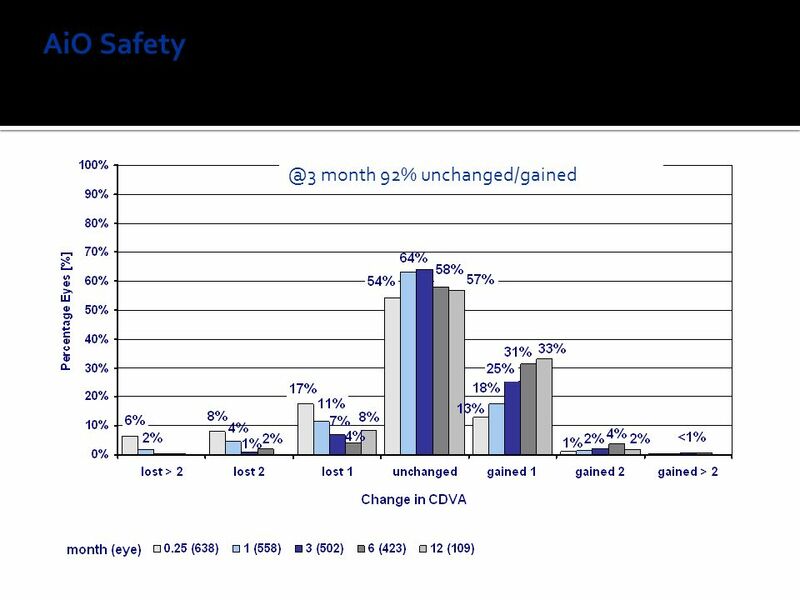 ADVANCED SURFACE ABLATIONS Postoperative pain Late visual recovery Risk of Haze Risk of corneal ectasia Unpredictable flap induced aberrations Epithelial. Tarek Abdel-Wahab, MD Clear Vision Center Cairo,Egypt Clinical Consultant of Schwind and technolase. 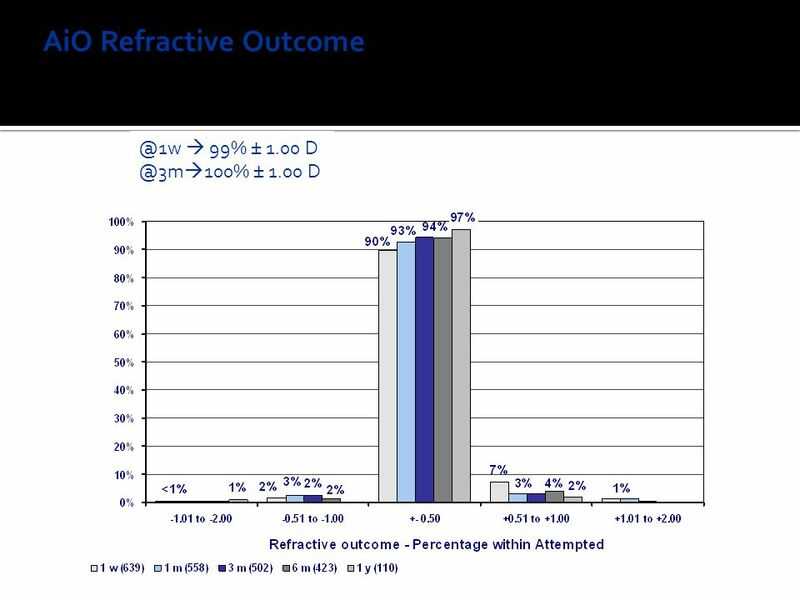 Visual and Refractive Outcomes of Small-Incision Lenticule Extraction Performed by Cornea Fellows Victor Boullosa, MD, Erick Hernandez-Bogantes, MD, Arturo. 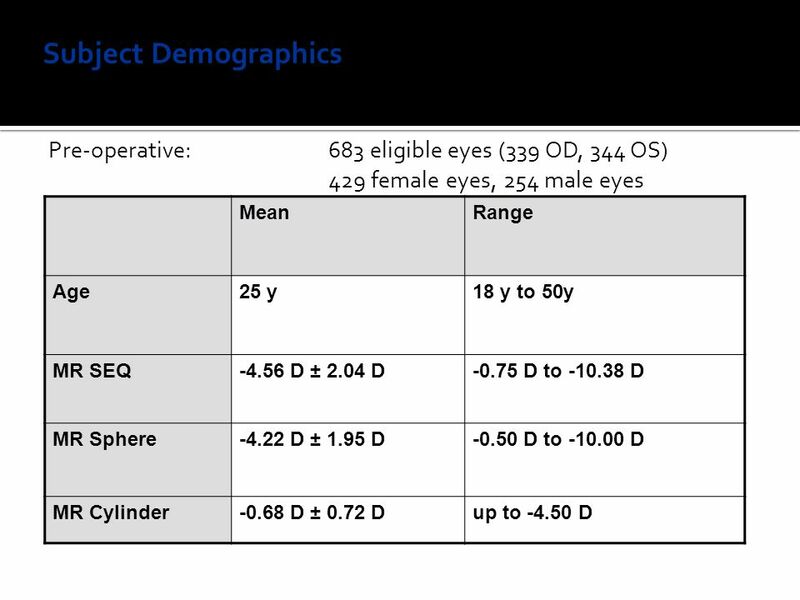 INTRAOPERATIVE FLAP COMPLICATIONS IN LASIK SURGERY PERFORMED BY OPHTHALMOLOGY RESIDENTS IN TRAINING Arturo Gómez-Bastar MD Arturo Ramirez-MirandaMD Lorena.